Ethan is now finally 22. He's not old enough yet to be feeling too blue. but no wait-him a brat?!? I doubt that. But whatever he's playing he's just damn cool. it's because he's not the one to follow the trends! We even love you when you're playing Allen Clark who's dark. 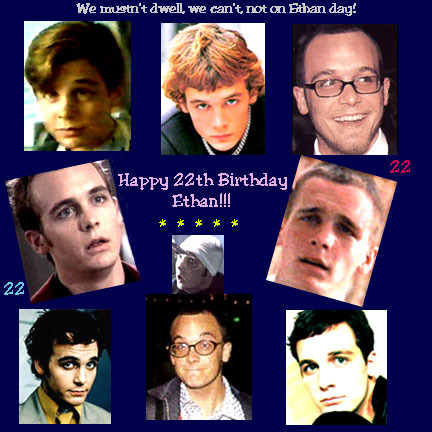 dwell on Ethan Embry day! Once again, Happy 22th Birthday Ethan, and many more to come!! !